The Colombo Magistrate’s Court today once against rejected the bail plea by Minister Mervyn Silva’s son Malaka Silva, who was arrested on charges of assaulting a foreign couple. 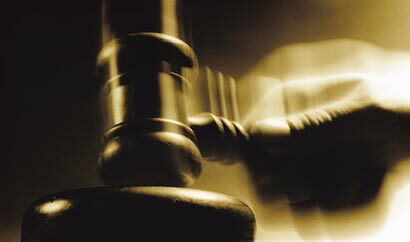 He was ordered further remanded until November 17 by the Colombo Additional Magistrate Mohammed Sahabdeen. Malaka Silva was arrested by the Colombo Crimes Division (CCD) on November 1 following a complaint lodged by the foreign nationals and remanded till November 4 by the court. The incident had taken place at around 3.00am the same day at a nightclub in Duplication Road, Colombo when Silva had reportedly harassed the foreign woman, thereby provoking her partner who had assaulted him. However, in response Malaka Silva’s security personnel had assaulted the tourist while both parties subsequently filed complaints over the incident. Silva, who had allegedly sustained minor injuries from the brawl, had been admitted to the Colombo National Hospital, where he was receiving treatment under police custody. Malaka, the son of Public Relations and Public Affairs Minister Mervyn Silva, has been involved in several similar assault incidents in the past while in July last year he was hospitalised following an attack at the car park of a popular clothing store in Town Hall, Colombo. Please don’t do this kind of things to this innocent youth. waradak kalath sithakin nove !. i think the parliamentary term to be reduced to three years of the current five for. The problem with five year term is it allows the strengthening of the oligarchy an prevent errant guys like Nalaka, further their interests using the ill gotten monies of their fathers fortified by the misdirected authority.